Don't miss this unique opportunity to get in touch with the band! "Ascension - Dream State Armageddon"
"The Holographic Principle - A Profound Understanding Of Reality"
A second Instrumental CD is also included. 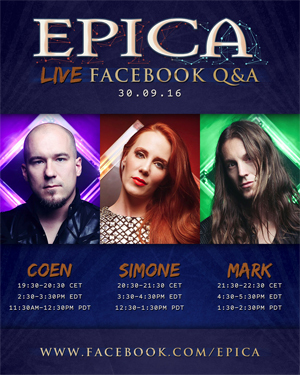 Don't miss -EPICA on tour!